Superdry women’s soft Mountain SD-Windtrekker jacket. 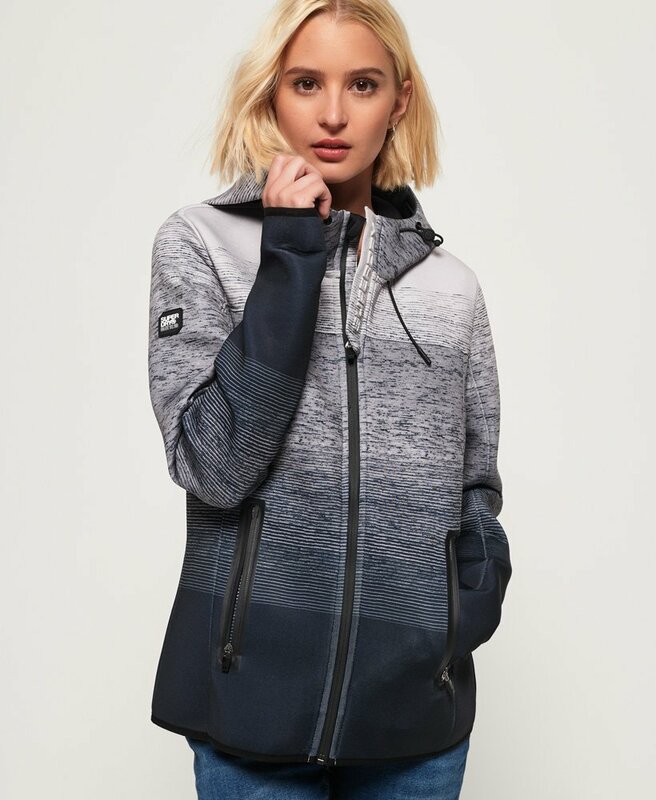 Inspired by mountaineering gear, this softshell jacket features a bungee cord adjustable hood, a front zip fastening and two front zip fastened pockets. The soft Mountain SD-Windtrekker also benefits from a single internal pocket and is finished with a high-build Superdry logo on the back and a rubber Superdry logo badge on the arm.